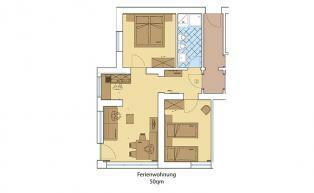 The Ultental Holiday Apartments are located right next to Vital-Hotel Rainer, on the ground floor of “Haus Waldruhe”. In summer as well as winter, they are an ideal base and provide perfect accommodations for families with children. 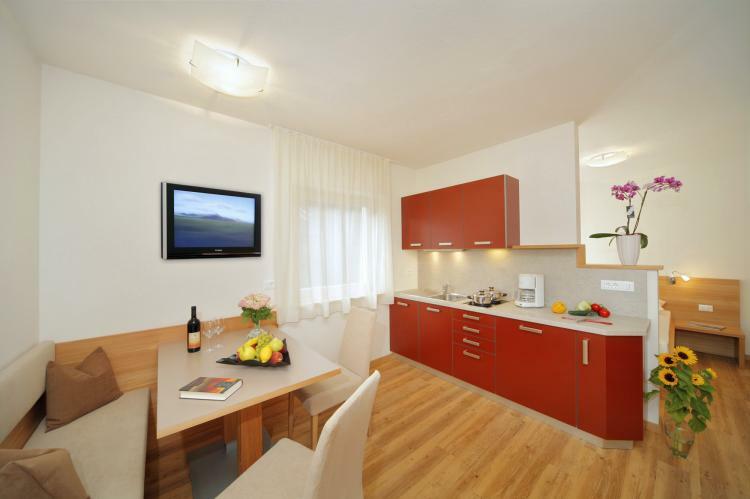 The amenities of the apartments are modern and high-quality. All rooms feature solid wood furniture and underfloor heating. 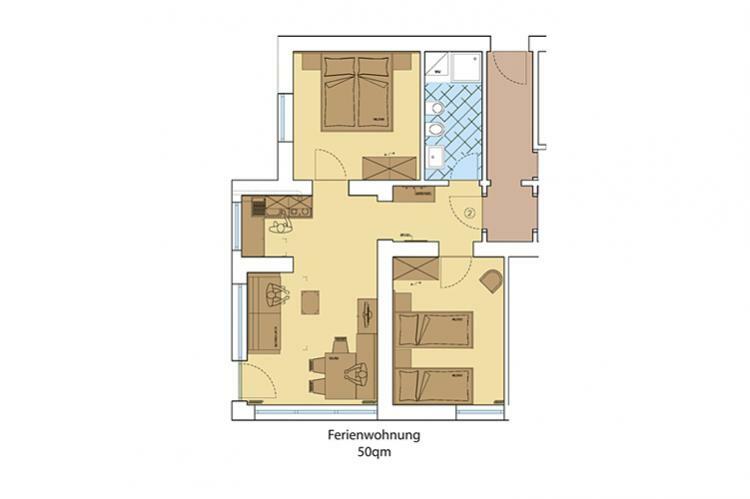 Holiday Apartment 1 has 2 separate bedrooms as well as a sofa-bed in the living room. 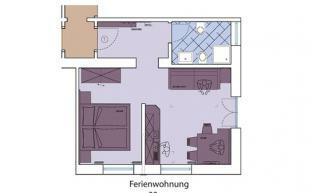 Also in the living room is a comfy dinette, a couch, satellite TV and a well-equipped kitchenette. 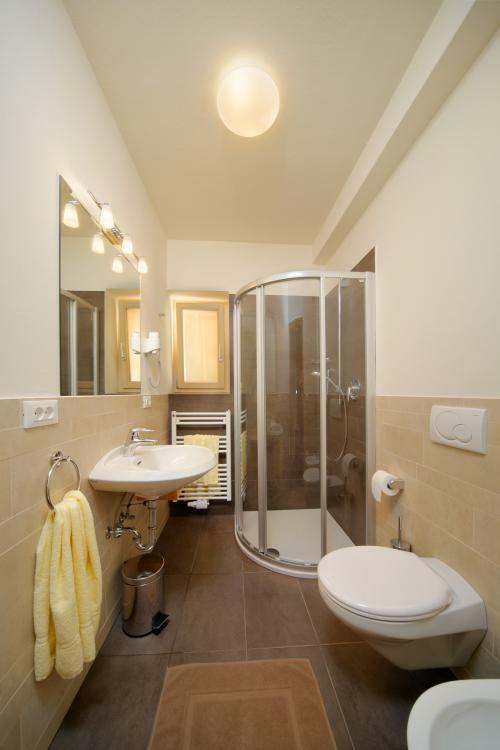 The bathroom features a shower, WC, bidet, hairdryer, as well as bath- and hand towels. 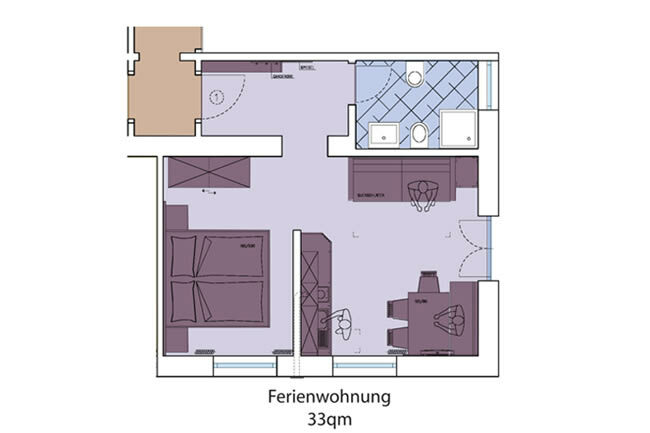 Holiday Apartment 2 consists of a combination living-/bedroom with double bed, closet and double sofa-bed. 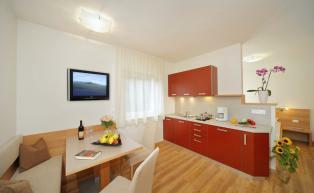 In the living area, you will find a cozy dinette, satellite TV and a fully equipped kitchenette. 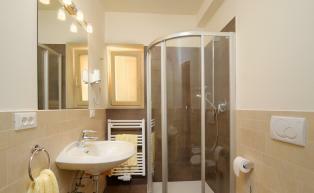 The bathroom features a shower, WC, bidet, hairdryer, as well as bath- and hand towels. The prices are for 2 people per night. Each additional person is billed euro 18.00 per night. If the large vacation apartment is booked for 2 people only (only possible during the low season), only 1 room will be made available. If you do require both rooms, we will charge an additional euro 18 per day for the 2nd room. Agreements made verbally and/or over the phone are non-binding. In other words, always confirm booking arrangements in writing. The prices we have listed do not include a local tourism tax of euro 2.00 per person (ages 14 and up) and day. • From 30 to 15 days prior to arrival: We charge 40% of the total cost of the stay. • From 15 to 8 days prior to arrival: We charge 60% of the total cost of the stay. • Fewer than 8 days prior to arrival: We charge 90 % of the total cost of the stay. • Without prior notice, in the event of a no-show, delayed arrival or premature departure, we will be obliged to charge 100% of the total cost of the stay.